Focusing on core business strengths - Extreme Telematics Corp. ETC has been in the business of designing and manufacturing hazardous location approved electronics for the oil and gas industry for nearly 14 years. During this time, we have learned what our core strengths are and what is best left to other more qualified partners. One of our longest and most beneficial relationships is with our supply chain management and manufacturing partner, August Electronics. We have been working with August since our first products rolled off the line in 2002. At the time, ETC was a small company with a single product and very little capital. Working with a contract manufacturer allowed us to focus on electronics engineering and avoid the hassles associated with procuring parts, populating circuit boards, assembling the final product and testing each individual unit. This made ETC much more dynamic. All of a sudden, we had quality manufactured products that were reliable and built with the latest technologies. We also were able to avoid having to staff up and down with the demand for our products. As we grew, we worked closely with August to manage our growth. Instead of having August build our products in small batches, they started to procure parts ahead of time, schedule larger builds, and assemble the final product just in time for shipment to customers. We focused on organizing larger orders with deliveries spread out over longer periods of time and August matched up production to the delivery schedules we arranged. Today, August handles all procurement, pre-building circuit boards, programming in production software, manufacturing test, final assembly, boxing, labeling and shipping of our products. We even use their capabilities to diagnose and repair product that is returned after being in the field. Because of this, we are able to continue to focus on developing new game-changing products without being bogged down with production issues. We are set up to service our ever-expanding customer base with almost limitless production capacity. August Electronics has grown substantially over the same time period. They expanded to take over more and more space until they occupied the whole building they were originally in. This 45,000 square foot building now only accommodates final assembly, shipping and receiving and support functions. 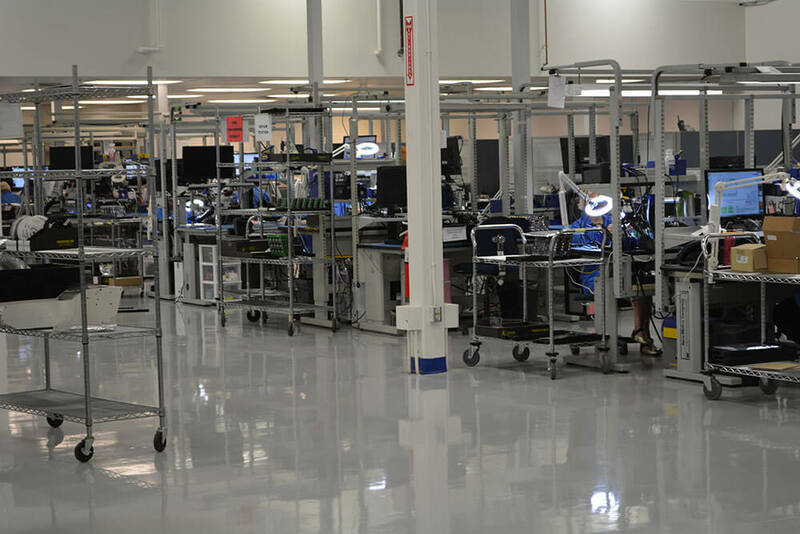 Their brand new, state-of-the-art circuit board assembly facility occupies another 25,000 square feet in a separate facility. It is filled with modern, top-of-the-line fully automated and semi-automated manufacturing equipment along with hand soldering and testing stations. Recently August became an ISO:9001 certified company, which aligns well with our goal to become ISO:9001 certified as well. In addition, all staff at August are trained to meet the IPC standard for printed circuit board design, manufacturing, assembly and testing. Through the years, we’ve faced our share of challenges, celebrated each other’s successes, and helped strengthen each other’s business. With this foundation, the relationship we have with August will continue to grow as we release future product lines and continue to expand internationally.